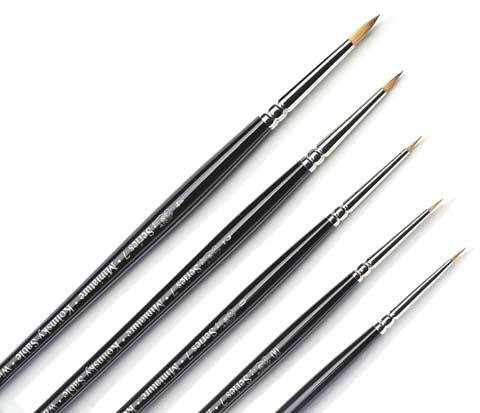 Control the brush point more accurately with these miniature brushes. The pure Kolinsky sable hair is comparatively short out of the ferrule, allowing intense detail work. They are constructed with a seamless nickel-plated ferrules and black polished handles.